Gwladys – 12 July 2015 Thank you for these magical moments with the whole team. We will return with pleasure next year ! Soso – 11 August 2015 Very beautiful sight it was taken eyes full and beautiful photos this afternoon, Thank you. Véronique – 17 August 2015 Very cool demo on Sunday at La Couvertoirade. Thank you for this magic moment! 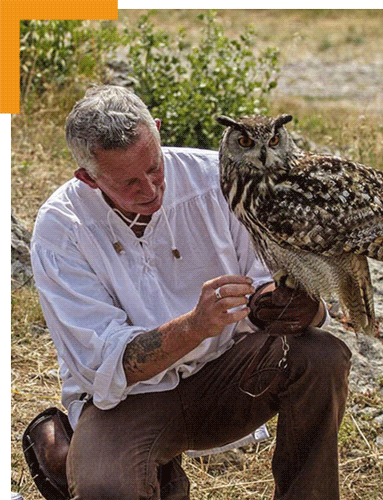 Cendrine – 01 September 2015 We spent a pleasant moment with your raptors on Sunday 31 August at La Couvertoirade. Thank you very much. These animations are intended for educational purposes in order to awareness in the world of raptors. These representations of free flight are moments between the falconer, raptors and the public, a moment full of emotion that one is not ready to forget. 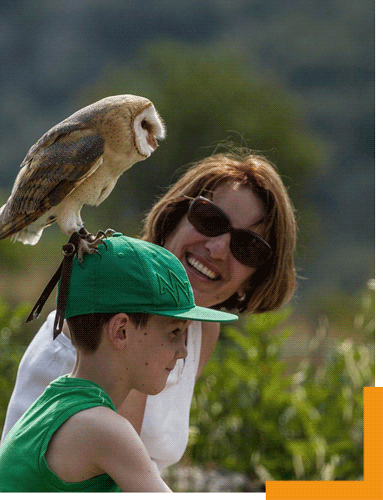 Les Ailes du Larzac, a passion and a professional falconer for your pleasure.